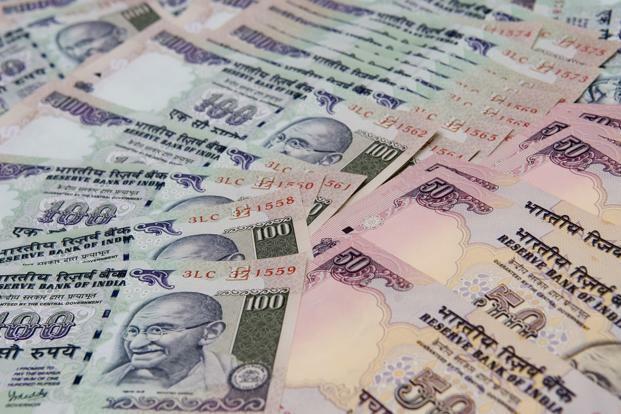 Mumbai: The Indian rupee on Tuesday closed at a two-week high against the US dollar as foreign investors started buying in local equities market. The rupee ended at 68.55 a dollar—a level last seen on 17 July, up 0.19% from its previous close of 68.68. The currency opened at 68.71 a dollar and touched a high of 68.54. Year to date, it declined 6.8%. From 26 July to 27 July, FIIs have bought nearly $500 million in local equity. However So far this year, it remained net sellers of $524.30 million and $6.21 billion in local equity and debt market. Traders are cautious ahead of the Reserve Bank of India’s bi-monthly policy outcome on 1 August. RBI monetary policy committee may raise policy rates by 25 basis points on Wednesday but is expected to maintain its neutral policy stance given the volatility in crude oil and food prices, economists say. Of the 15 economists surveyed by Mint, 12 expect RBI to raise the key repo rate, the rate at which it lends to commercial banks, to 6.5%. Only three economists expect RBI to keep rates unchanged at 6.25%. Traders also awaiting US federal reserve meeting outcome on Wednesday. Analyst expects that fed will not raise rates this time. The 10-year bond yield stood at 7.773%, from its Monday’s close of 7.79%. Bond yields and prices move in opposite directions. Benchmark Sensex Index rose 0.3% or 112.18 points to 37,606.58. Since January, it has gained 9.6%. Asian currencies were trading lower. Thai Baht was down 0.14%, China Renminbi 0.13%, China Offshore 0.1%, Singapore dollar 0.09%, Malaysian ringgit 0.04%, Japanese yen 0.04%. However, South Korean won was up 0.12%. The dollar index, which measures the US currency’s strength against major currencies, was trading at 94.36, up 0.01% from its previous close of 94.348.